Meeting school friends after long time is so very exciting. Tanu and Sruj have been my friends since 4th grade, and our friendship grew stronger with age. We had a very fun filled childhood with sleepovers, slumber parties and movie nights. From reading comics in the bed with torchlight, talking for hours together in phone, reading Mills&Boons secretly. The journey we started as 3 girls, talking about cute boys and crushes, is now at the stage of 3 moms, talking about husbands, kids and mother-in-laws. Though we are spread out in 3 continents, one in India, one in US and one in Germany, and meet only once a year or once in two years, the time does not make any difference, and when we meet it feels as is we were always together. 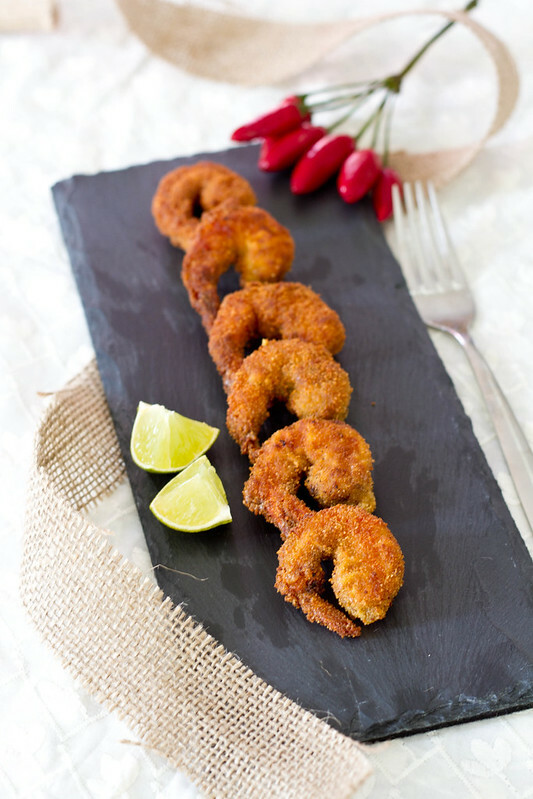 And the recipe, we all loved seafood as kids and this one is for my girlfriends who are always there when I need them. Add all the ingredients to the shrimp, from salt to ginger garlic paste, mix till well coated. Dredge shrimp in flour mixture, shaking off excess. 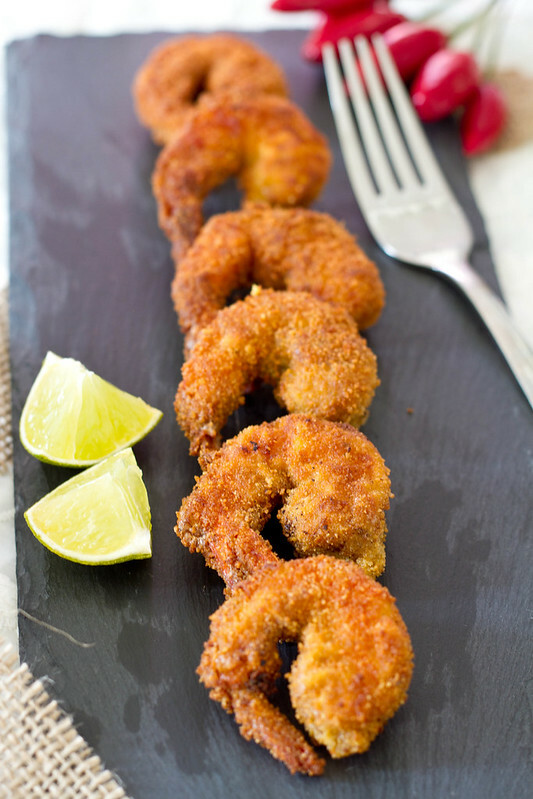 Dip shrimp into eggs and then coat both sides with bread crumbs. Add half of the shrimp to the pan, placing them side by side so they don’t touch each other, cook about 2 to 3 minutes per side, until golden brown and cooked through. Repeat procedure with remaining half of the shrimp. Add a little more oil if necessary. Serve with Ketchup or Mayo. Looks Yummy.. I love seafood, especially prawns & shrimps. 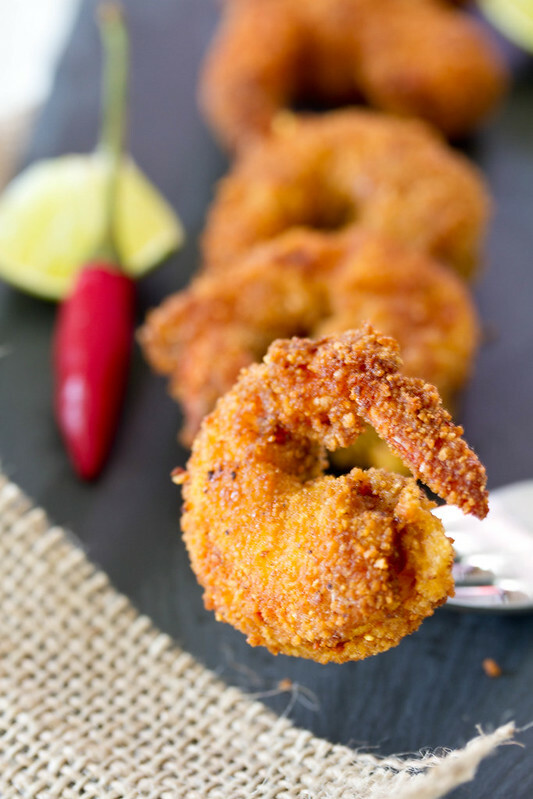 I have made shrimp fry earlier but without bread crumbs ( But have eaten KFC shrimps and loved it ). Would try this recipe soon. Here w elove shrimps fried like this and yours look so good, i agree if you are good friends it doesn’t matter if you just meet then once or twice a year same like good family. Oh shrimps. When it comes to seafood, shrimps and prawns are my favorites. I could live on them. I can never get enough of shrimp. And deep fried is always a tad bit more yum!! How perfect for girls’ night! That shrimp looks seriously delicious!